WHAT ARE THE TYPES OF RIFLE SCOPES? There are literally thousands of options for the best AR-15 optics on the marketplace and the options can be a little overwhelming. Here we can see some of the differences and similarities of a few options and get a generalized idea of what you will need. The most important thing is the conditions in which the rifle optics will be used. If you are shooting in an environment that offers wet and humid conditions then you may need a scope that offers an anti-fog feature. It is important that you assess each and every one of these products and take your time weighing the options and deciding on the particular scope that you need. To get a really great scope depends entirely on what purpose it is being implemented in. Following this rule, we can begin to find the best tactical scope for the AR-15. 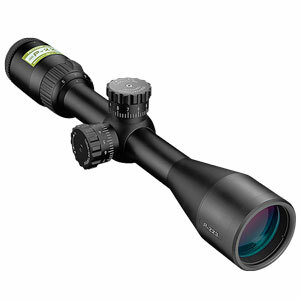 This scope offers great viewing at great distances, boasting a 500-yard field of view. It also offers a clear view in low-light environments. One of the greatest features is the Throw Down PCL quick view which allows the shooter to quickly switch from particular fields of view. The Target Turrets allow for quick in the field adjustments to the sighting calibration of the scope. The optical lenses themselves are multi-coated for maximum brightness and clarity in any environment. The scope itself is sealed tightly to minimize moisture and other elements from entering the lens chambers. Though not waterproof, this scope offers plenty of customizations in the field. This particular scope also offers a quick mount to the AR 15 as well making this a great option for shooters who wish to quickly make the switch from open sights to a scoped shooting experience. Read on for Bushnell AR Optics review! 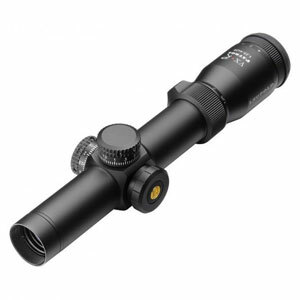 This scope offers a great amount of durability and reliability for shooting in the harshest of environments. The flip-open lens covers to protect the scope while in transit mounted to the rifle. Ideal for low light situations, the reticle is customizable through 36 different colors for ease of use regardless of the shooting conditions. Special lens housings make for a great field of view when under recoil from firing the rifle, making your second shot just an accurate as the first. This is a great feature for those who shoot professionally and need to make the fastest and most accurate shots as possible. This scope is also completely customizable in the field, so making the small adjustments in the field are no trouble at all, back all of that with a lifetime warranty and you have a great, versatile scope for all shooting levels. Overall this makes a great scope for the versatile shooter. Check out the full UTGSWAT 3-12X44 with AO Mil-dot Scope review! This scope is made with the .223 AR 15 in mind. Designed with a great consistent eye relief, the Nikon 3-9×40 Mate BDC 600 prevents brow injury for the shooter regardless of calibers being shot and extreme shooting angles. The scope also offers different reticles for different distances. 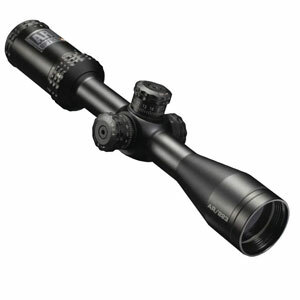 Boasting a visible field of view of 600 yards, this scope is designed for distance shooting as well. The lens housing also offers recoil absorption, even when being fired repeatedly, the scope will give the shooter a clear field of view making for a better shooting experience. 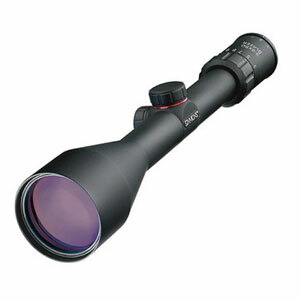 Waterproof and fog proof, this scope offers a great amount of durability. The scope itself is also sealed using o-ring technology and nitrogen gas filled lens chamber which allows for an even more durable and weatherproof scope. Though this scope is specifically designed for the .223 and the NATO 5.56 AR 15 rifles, it can be easily mounted to virtually any rifle small or large in caliber. This rifle scope offers a small and compact size of only 12.4 inches, which is great for those who want their rifle to maintain a low profile. The scope offers from 3X to 9X zoom capabilities and 40mm objectives lenses which make the scope a great scope for the distance shooter. The lens coating is designed to transfer light by up to 98% to the image allowing a great shooting experience in any light environment. 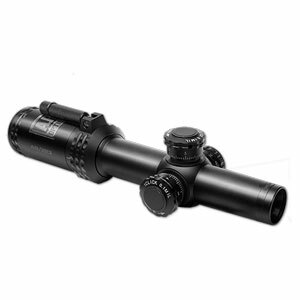 This scope also offers up to 3.6 inches of eye relief and boasts nitrogen filled and O-ring sealed housing making it waterproof and fog proof. 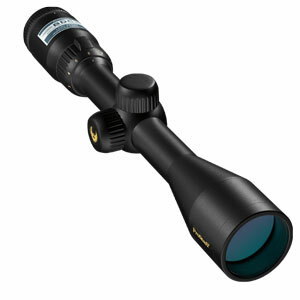 Nikon Prostaff makes a great higher quality scope for beginners because it is simple and easy to learn with. This scope also offers a great cross-platform mounting option as it can be used on several different rifles of different calibers and different firing functions. See more detailed Nikon ProStaff Rimfire 3-9×40 Matte Black review! This scope offers a reticle hash ranging from 100 yards to 600 yards making it a great scope for distance shooting. Also, it offers a wider field of view that most scopes do not offer which is great for shooting at a moving target when you have to lead your shot to make them count. The one piece, the aircraft aluminum cylinder design offers a great deal of durability without the weight of heavier scopes. The scope itself houses a well-built seal on the outer lenses making it fog proof and waterproof. Also, the scope is shockproof so even if it is dropped, the durable construction of the scope is going to allow for it to continue to perform regardless. This scope can also be mounted to virtually any rifle of any caliber including magnum length actions making it versatile to any level of shooting and it also boasts a lifetime warranty. See more detailed Nikon P-223 review! Looking for a top of the line AR scope for a great value? This one can’t be beaten at its price tag. It may not be the top brand, but it packs some serious features that are likely to catch any hunters eye. Also, this magnificent scope uses a first focal point plane, meaning changing zoom quickly keeps high accuracy. Manufactured using a strong aluminum alloy, the quality of the scope will rarely if ever, degrade as to make sure it’s used throughout the years. Another multi-coated scope to provide clarity and brightness to anyone using it. At full brightness, the lens itself may become a little washed out, but that won’t hinder the effectiveness. A little heavy in weight but definitely well worth a look. When purchased from the manufacturer, a $30 mail-in rebate is offered to lower the price of this scope even more. Great for hunting fast-paced or in tactical situations. This is one of those scopes I wish I could afford. Then I wish I could afford a rifle worthy of such a scope. However, since a man can dream, we can take a closer look at one of the best rifle scopes for any money I’ve ever seen. First off it’s a Leupold, which means it is one of the best rifle scopes made anywhere period, end of story. There might be better, but they would be spoken of in the same breath as a custom one of a kind rifle. So for the mere mortal who doesn’t own a private island, you just won’t get any better than this. And it’s got an illuminated reticle to boot, making it ideal for low light or poor weather conditions. This is a scope you take hunting or take to war. If you are hunting in the true wilderness or have to use your rifle to keep yourself alive, this is the optic for you. Of course, there are always downsides, most of which, in this case, revolve around cost. This is not a cheap one or even something most people can casually decide to buy without a second thought. In fact, it costs as much as some decent rifles. But, there is no denying the value and reliability you get with the Leupold name. 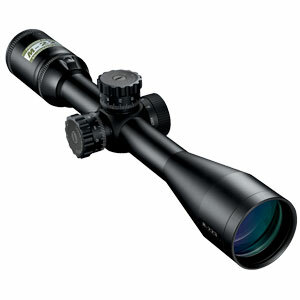 It is one of the best sniper scopes in the market. Check out our Leupold VX-1 review! The most promising scope from the same manufacturer. This is the scope I wound up buying recently for my Krag. I knew I wanted a scope that had a low magnification… after all I’m shooting deer, not fighting a war, and it had to have a 30mm or so front objective lens to fit the mount I was using. I was willing to pay more, but since I had not yet had a chance to shoot my rifle and was considering putting this on a .22 if things didn’t work out well, I decided to keep it under a hundred bucks. Now I confess, this isn’t my first dance with the Simmons 8 Point scopes, I’d had one once before on a .22 target rifle and found it was extremely well suited for the job. Ultimately the Simmons 8 Point has proven to be what I wanted it to be. A functional, accurate scope. The main downsides I can find with it are the somewhat weak construction in the focusing ring. The first one I owned broke and turned out to be made of cheap plastic. A trip back to Simmons resulted in it being repaired and it continued to function just fine afterward. I have not had that problem on my second scope and hope it was just a freakish isolated incident. I will happily recommend this scope to anyone who needs an affordable, yet accurate riflescope. It does the job, and I’ve used one to break many a shotgun shell at a hundred yards from my .22 and hopefully will take a deer with it this fall. Buying this scope signaled one of those occasions when I decided to go a little bit beyond the price range of good scopes, but good scopes that come at a budget price. Any scope with light transmission of 90 percent and above is worth taking notice of and this Vortex Viper offers an impressive 95% light transmission. I would naturally expect a $400-$600 scopes to boast features such as anti-reflective finishing because of its matte black coating, but when this comes together with great image sharpness and clarity, and long turrets for easy adjustments, you start to realize just why this scope was built for sighting a rifle to be used in long range hunting excursions. The ability to easily make range estimations is very important to me, which is easily achievable with the mil-dot reticle featured. This is exactly why this scope is great for long distance hunting and shooting as it offers a great range of accurate sighting. More experienced long range hunters will particularly appreciate the implications of being able to accurately calculate any bullet holdover and required windage, both of which come back down to the mil-dot reticle. Durability is another feature you’d expect of a $400+ rifle scope, which I’d say is suitably accounted for through this scope’s one-piece body design and that also makes it very easy to handle and store in any of the top rated gun safes. I wouldn’t expect too much trouble with the recoil concerned with long range hunting, but that’s a complete non-factor with this Vortex. Definitely, a match made in heaven for my 111 7mm Savage Trophy Hunter Rem Mag rifle, with easy parallax correction achieved with a convenient side-knob. In the hands of a competitive shooter who knows exactly what he’s doing, 1000 yards is an achievable shooting distance with this true long-range rifle scope. First, let’s look at what you are using the scope for. 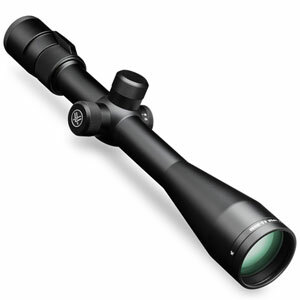 There are many different scopes to use on varying scenarios such as hunting and tactical. Base your research off these two so you get a better understanding on which one is right for you. 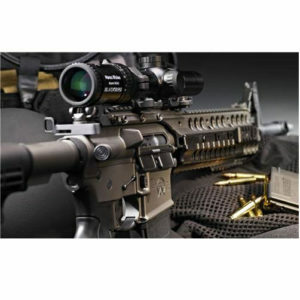 Next is the price and a lot of the AR 15 rifle scopes listed above are under $200. Other scopes range around $1,000 or more, but if you buy one of these scopes, you won’t sacrifice any quality. If you do pick a cheaper scope you’ll most likely run into problems that could have been avoided. If you are focusing on having a tactical advantage, then the magnification, the quality of the lens and zeroing mechanisms are very important aspects. If a target is blurry, then you risk missing or worse. If a scope is hard to zero, then the accuracy will suffer as a result. Make sure you get a scope with the quality lens that is reliable, this will ensure you’ll be able to see your target. The Nikon brand has a great line-up of affordable scopes t hat will guarantee the quality of the lens. If you intend to use the scope in harsh weather, or you’re worried it will get foggy, water-proof, then what you need to look for is a nitrogen purged scope. This will make it waterproof and fog proof. Do you like shooting with one shot at a time, or do you like firing constantly? If you like shooting but you’re afraid of the continuous recoil, then a scope with generous eye relief and a well-built structure is key. You can get the most of the scope in a tactical setting by using the eye relief to its full extent, this will allow for rapid target acquisition. A sleek design can make it easier to use and less likely to be seen. Providing the best possible shot by using hash marks makes the hunting game a breeze. Some scopes are best suited to specific bullets and the like. To make sure that your scope and rifle are the best they can be, utilize these data points in your research. Use reviews rather than ads or descriptions, they would reliable information that will only benefit you. Riflescopes will always differ depending on what kind of scope you get. A red dot reticle allows one to see an illuminated on top of the picture that is shown. Do not mistake this with a laser sight, the illuminated reticle is not projected on the game itself. A laser sight projects a beam onto the target, this is useful for short-range targets and gives a tactical edge. Another point to consider is the focal plane. 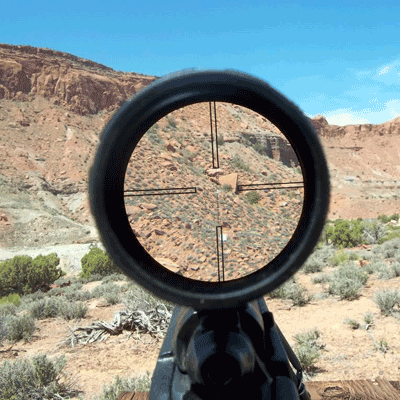 Using a Second Focal Plane, the reticle stays the same when zoomed; this kind of scope is commonly used. Another type of scope is a First Focal Plane, the big difference when using this is that the reticle is zoomed in with the image. The advantage of using a First Focal Plane scope is fairly simple. The reticle is enlarged when zoomed in relation to the magnification. This allows for accurate shots in most ranges. The Second Focal Plane stays the same when zoomed, which allows for a further magnification. Power and magnification of the scope should also be considered. Most scopes use a varying magnification that is adjustable to the needs of the shooter but there are fixed scopes. When using a fixed scope the magnification will always stay the same. The magnification level can be assessed using numbers like 3x. The 3x means that the image you see through the scope will be three times bigger than compared to just using your eyes. The power of the scope is determined based on the preferred hunting grounds. In a forest, you don’t need a very powerful scope as opposed to an open plain. Compact rifle scope, sniper, laser rangefinder rifle scope and the pistol scope. The compact is just as it seems, a rifle scope that is lightweight and smaller than a standard scope. 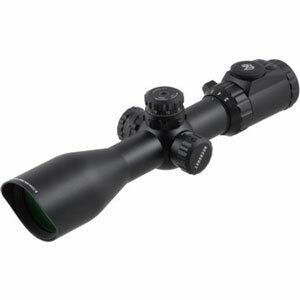 A sniper rifle scope is more suitable for those who prefer to keep a distance. A sniper can usually zoom to increase the image size; this enables a clear a direct shot. Laser Rangefinder scope is a little more interesting. This scope not only can give you a clear shot, but it can measure the distance between you and your shot. Talk about a great feature! Last but not least, the pistol scope lets the shooter make accurate shots with a handgun due to low magnification and a decent amount of eye relief. Clear and accurate shots at a distance. You will not need the brightest flashlight for an accurate shoot. Magnification allows for pinpoint accuracy. A Clear picture of the game will allow for an easy shot. Quick and reliable target acquisition. Gives a tactical edge that can help in many different circumstances. Ensures that you don’t miss what you are shooting at. Provides a much higher range. Shoot farther and harder using deadly accurate shots. Prevent dangerous situations by staying at a distance. You can make sure that it’s a deer you’re shooting at even if you don’t have a cellular trail camera. Provides crystal clear images to make sure you’re bagging a trophy and not a little one. It’s simple to use and by far easier than lining up the iron sights. Provides more hunting time early in the morning and late at night. Ideal conditions for large game movement is at night, so you can get the largest buck. More hunting time in the field makes it more likely to leave with multiple games. Allows a significant amount of visual light to pass through the lens, this lets to see a clear image of the target. Accurate shots allow for fewer bullets to be used. More game with fewer shots. Before you purchase a rifle scope you should make an extra effort to study and research. Many scopes are available for purchase. Using the right scope can make all the difference. Utilize every resource that you can access before buying, the scope you may think is perfect might have a defect. When reading reviews, pay attention to the good and the bad reviews, not one or the other. If you do this you’ll be able to be ready for whatever happens. Make sure the scope and the rifle are compatible with each other. Look at the warranty, top companies will often provide a lifetime warranty. This will replace the scope in case of an accident or defect. When looking for a scope, make sure you know what type suits you best. An illuminated reticle scope is much different from a laser sight. If you want the best possible performance, match the rifle with the scope and bullets. The right scope will allow for pinpoint accuracy with little to no adjustments. If you are still trying to decide what scope to get, then try contacting someone who has used several scopes. They may be able to suggest the perfect scope for you. There are several things to remember when purchasing a scope for your AR 15 rifle and the first is that though the rifle is smaller in caliber at only .223 / 5.56 NATO, the AR 15 is generally a semi-automatic rifle. This means that every shot executed will be in repetition. As seen above there are several scopes that allow for “shock absorption” when making fast and repetitive shots from the rifle. The recoil of the shots will impede your field of view to some extent, however. The second largest concern that needs to be addressed is the reticle. Each shooter has his/her opinion on this topic and it really comes down to what you are doing with the rifle. Hunters typically enjoy having the hash marks that allow for different distances typically signified by “50 to 600 yards”. 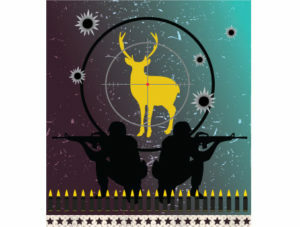 Others who use the rifle for professional marksmanship activities prefer a single reticle dot that can be color adjusted for optimal viewing of different targets. The reticles on some scopes are adjustable in color, intensity making them even more customizable for the shooter. The Third largest concern for the shooter should be the field of view, and what this means, in short, is how far you are wanting to shoot accurately. Hunters typically want to be able to shoot accurately at a greater distance whereas professional marksmen don’t necessarily need the distance but rather the clarity at short distances. By bringing these three topics into question when you decide on the scope that you need, you can accurately decide on what you need from a scope. There are several different options for magnification and as a general rule of thumb, the greater the zoom the more the image will distort. Now there are thousands of different scopes that help to reduce this distortion and the type you get depends on what needs you have from your rifle. As previously stated, there are different needs for shooters. Anyone hunting may want there to be a greater zoom on their scope so they may choose a 9X32 and so on. One thing that needs to be looked at is the light allowance that a lens has. Some are coated with emerald and allow for magnification of light. This is used to allow visibility in a low light environment and also makes the field of view at higher magnification clearer. There are also scopes that offer very little magnification and these scopes are typically used for firing at short distances and firing at high rates. Typically tactical applications call for less magnification and more clarity. 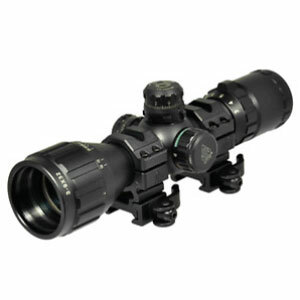 The magnification is a very important aspect of the scope and is something to consider before making a purchase. There are several thousand different styles of reticles and the one that you choose should reflect what application you are using the rifle for. The AR 15 is a fast-paced semi-automatic rifle and in a tactical sense, the usual choice is a reticle with adjustable brightness and adjustable color which allows for usability in any lighting situation and can be easily used regardless of the color of the scenery in the background. Users typically prefer a reticle that allows what is called a “gradual distance reticle”. This means that there is a hash mark for several distances and the shooter can pick a mark given the distance to the target. The reticles are typically black, red or green in color and differ in intensity. Some scopes even come with a built-in rangefinder enabling the shooter to immediately knows the distance to the target, so you will not need to buy a rangefinder separately. Knowing this at the moment can allow the shooter to compensate natural elements that may impede his shot such as the wind. Duplex reticles are the most basic and widely known reticle types. This style offers a simple cross that can simply be placed over the target allowing for simple target acquisition. There are some other types of duplex reticles as well. One is the long distance reticle that offers the same functionality of the basic duplex but with extra rings or marks for different distances. This style makes The simplicity of the duplex come alive in the distance shooting realm of shooting allowing the shooter to quickly decide what range he or she needs. The mildot reticle offers that same functionality as the duplex reticle whereas it features rings for different distances which cover the vertical distance aspect of the scope. However, the mildot also shows rungs for the horizontal aspect as well. This is handy for when you are leading a shot on a moving target. The shooter can take into account the speed of the target and compensate accordingly. The BDC reticle offers nearly the same as the duplex long range with more detail into the distance rings. In the duplex long distance reticle, it shows typically 25 to 100 yards. But the BDC reticle typically shows 25 to 600 yards making it more versatile in the tactical theater of the AR 15. This reticle is used mostly by law enforcement and tactical shooters. Minute of angle and MRAD is a mathematical equation used to determine the true distance of what an inch in your scope means in reality. When you need to move your reticle to the left of the target by an inch in the scope it will likely be much more than an inch in reality. This mathematical equation is a circle divided into 360 degrees and each degree is then divided into 60 minutes. Using this simple formula we can properly account for “leads” in a shot and better understand that an inch in the scope is in reality, closer to a foot. There are several reasons that this is important. When you sight in your new scope to your rifle you will be using this math to center the middle of the reticle at exactly what it is that you are shooting at. Think of the calibration knobs on your scope as a calculator, you are inputting this data into the scope and with each adjustment into the vertical and horizontal aspect of the scope, you are dialing closer and closer to what is called “sighted on”. Another rule of thumb is that for every elevation increase of 1 on your scope increases the bullet’s impact point o target by 1 inch at 100 yards. The focal plane is what you see when you look through your lens. The image that enters the front of the scope is actually upside down. There is another term for this as well, that is Cardinal Points which depicts the journey that the images were taken through the rifle scope. If you were to take the main magnification lens out of the scope, then the image would appear upside down and when you move the reticle left over a target it will actually appear to move right. This is because the focal plane is appearing in its “raw” form. What does this have to do with the scope? Well, there are two types of focal planes to choose from. There is a front focal plane and rear focal plane. The front focal plane is used primarily for tactical purposes since the image is focused sooner on the scope. This is useful because the reticles are accurate at multiple magnifications. And the rear focal plane is useful in low light environments which limit the usability and when used with a BDC reticle, it may only be accurate on the highest magnification at best. More and more companies are going to the front focal plane models as they are clearly surpassing their predecessors. This is what it is called when the focal plane is not aligned. The way to test this in a scope is to look at a target through the scope at 100 yards. When you are on target glance to a different part of the target with your eye and see if the image moves. If it does then your parallax is not aligned. Many scopes come with an adjustment for this and it is relatively simple to correct. If you do not have the parallax adjustment on your scope it is as simple as sighting in your rifle again. It is recommended that you get a scope that offers the parallax adjustment so that if you find that your parallax is off in the field you can get your scope back to accurate in the field without having to visit a range to do it. This will save you time and money so it may be worth it to simply make sure that the scope you choose has this feature standard. Check Out an informative – How to clean an AR-15 video! There are thousands of options and the right choice entirely depends on what it is that you need the scope for. Another tip is to pick out a few that you think you are interested in and check their reviews at any major online retailer. You can generally get a good idea as to what the issues are with that particular model and the site you are on will likely recommend similar scopes. One thing that maybe some do not realize is that most scopes on the AR 15 mount to a bridge mounting system and that typically the mount for this is generic. What this means is exactly this, if you find a scope that has a “bridge” mount, nine times out of ten it will fit. This is useful while shopping for the new scope as it can help to narrow down what it is that you are looking for. Always remember to shop with your use of the rifle in mind. A hunter will most likely want something different than a tactical shooter will. The AR 15 is a great rifle and when paired with great optics makes it an accurate and efficient machine that is fun to shoot. Besides scopes, we reviewed other AR 15 accessories you might be interested such as AR 15 bipods, AR 15 Cases, AR 15 lasers, and AR slings, even you might want to get a red dot magnifier or an earmuff while shooting. Overall, the best scope for ar 15 is the one that tailors to your needs. Whether that is going to be hunting, marksmanship, home protection or tactical there is a scope for you. AR 15 scopes are made to be durable and last while offering a great list of features oriented for specific needs and there is a scope out there for you as well and when you find it, you will be happy that you put the work into finding the right one. Not one scope is the same as the other and I highly recommend that you do the homework to find the right one by reading our top AR 15 optic reviews and that you also have fun finding it as well. Happy shooting! Hi，we are supplier of anti-theft product and have a good tool to protect your scopes from being stolen. It is well used. More pics are available from us. If any interest, pls contact us. Thank you. Have any list or website for your tools?